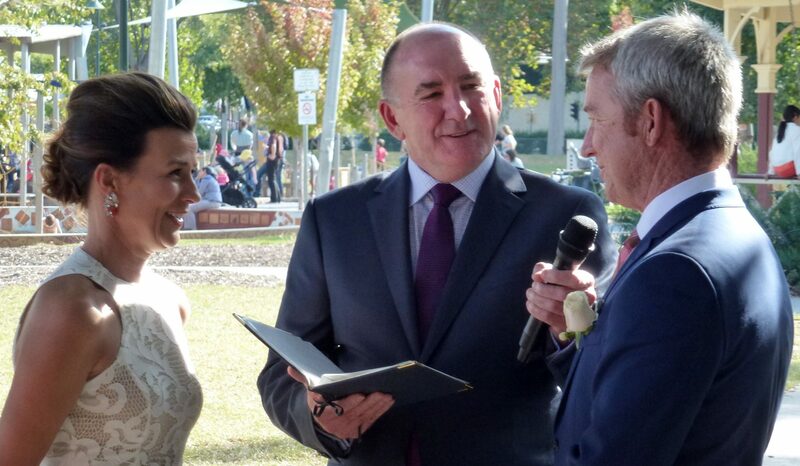 Thank you Bronte, for acting as Celebrant at our recent wedding. From the outset, you were engaged, invested and enthusiastic. It was obvious to us that you wanted to do the best job possible, and it showed in every way. You listened to us and took on board our wishes, but also offered helpful suggestions and advice along the way. You made yourself available to us when we needed you which meant we always felt well supported. On the day you were polished and professional, warm and friendly. You were such a calming influence. There was no overbearing, academy award-winning performance, just clear and open communication with us and our guests. It was also great fun – we really enjoyed planning everything with you! We really couldn’t recommend you more highly as a Celebrant, and are both thrilled to provide a written testimonial.